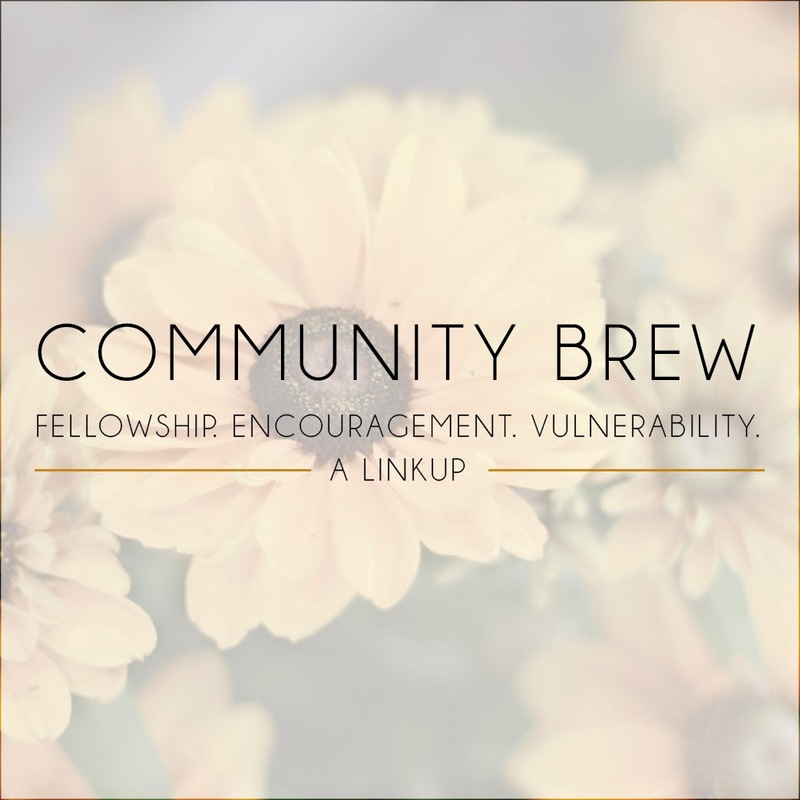 I am so excited that it is time for another Community Brew with my dear friends Madison from Wetherills Say I do and Rachel from Oh, Simple Thoughts Does a month fly by fast or what?? Today, the topic is on marriage. Single ladies, don't tune out. This is a wonderful time to reflect the single or engaged moments happening in your life right now. For wives, this means submit to your husbands as to the Lord. For a husband is the head of his wife as Christ is the head of the church. He is the Savior of his body, the church. As the church submits to Christ, so you wives should submit to your husbands in everything. For husbands, this means love your wives, just as Christ loved the church. He gave up his life for her to make her holy and clean, washed by the cleansing of God’s word. He did this to present her to himself as a glorious church without a spot or wrinkle or any other blemish. Instead, she will be holy and without fault. In the same way, husbands ought to love their wives as they love their own bodies. For a man who loves his wife actually shows love for himself. No one hates his own body but feeds and cares for it, just as Christ cares for the church. And we are members of his body. As the Scriptures say, “A man leaves his father and mother and is joined to his wife, and the two are united into one. This is a great mystery, but it is an illustration of the way Christ and the church are one. So again I say, each man must love his wife as he loves himself, and the wife must respect her husband. Marriage. Something I know so much yet so little about. Being married to my best friend is one incredible blessing and each day is such a fun, new experience. Yet some days, it is hard and yes, I am still learning how to be married and how to take on this role of being a wife. Now, when we were engaged, people always told us how hard the first year would be. How getting used to each others habits would just create these brawls and how most days would be tough than easy (cheerful right?) Well, we will both stand here and tell you that 99% of the time, marriage is just so easy. I really am not sure what people mean when they talk about how tough marriage is. Don't get me wrong, some days are tough. Some days I want to cry in bed because things wont go the way I want them to go or because I have to stop being selfish and realize I am a part of a whole other person. But for most days, it is a wonderful life. I think marriage is something that will work when you have three in the relationship. Society has a different view on marriage and in my opinion, I think it is why divorce rates are so high. If we didn't have a relationship with Jesus, I honestly don't know how we could make our marriage work. Marriage works when you know and have the love of Christ. Marriage works when you know and have the grace that Christ shows us. Marriage works when you know and have the forgiveness that Christ gives to us. I cant stress how important it is to have a relationship with Christ before your husband. Since being married, I have learned to let go of my pride. To say" I'm sorry" than to hold my ground as long as I can. Some days it is so easy for me to snap at Sean and tell him how he should do this, do that, or be this way. Ladies, never do that to your husbands. Proverbs 31 instructs wives to open our mouths with wisdom and kindness. I am so deeply grateful and in love with my husband and I always want him to know this through both my words and my actions. Marriage is a learning experience but it is the most wonderful experience when you have everlasting love with Christ as your center. Our first six months have had some pretty hard times, but it's also been wonderful, and with each major challenge we face we get closer! And having Jesus makes all the difference. I don't think our marriage would make it without him! love these thoughts, thanks for sharing! :) grace is so hard but yet so important to a healthy marriage! :) it's hard to let go of my pride & choose loving my husband over being right - but it is so beneficial when i do! I agree that we need a relationship with Jesus before our husband. I find that days when I'm most likely to love my husband poorly are the same days that I haven't spend time with Jesus. I love your encouragement that marriage is 99% of the time easy! Everyone keeps telling me that "it will be SO hard"..."do you know what you're getting into?"... "don't you want your freedom to last a little longer?" So this was very encouraging to read! Thank you so much for your encouragement and insight into marriage! absolutely agree, preach it girl! Jesus first, always first. without Him marriage simply DOES NOT WORK. Jesus first, husband second, wife third. I'm learning to let go of my pride every day too - pride is what keeps me from really hearing my husband out and understanding his needs. But, when you love - it IS easy. Thank you for helping me remember I am not the only one. I can't believe how much fun and just sweet this first year of marriage has been. Especially after being told that it would be so rough. And saying, "I'm sorry." is one of the hardest lessons to learn. Pride is deep!